When I posted about getting my new Biolomix blender from Aliexpress, I wrote how excited I was, and people asked me to do a follow up post. 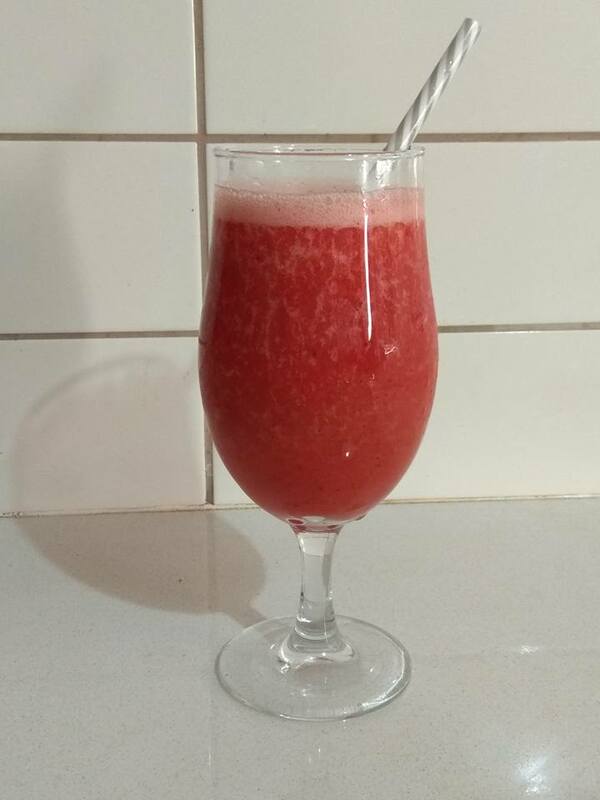 This isn't a full follow up post, I'll do that at a later date, but for now I wanted to share a recipe with you that I made in it- strawberry daiquiris! 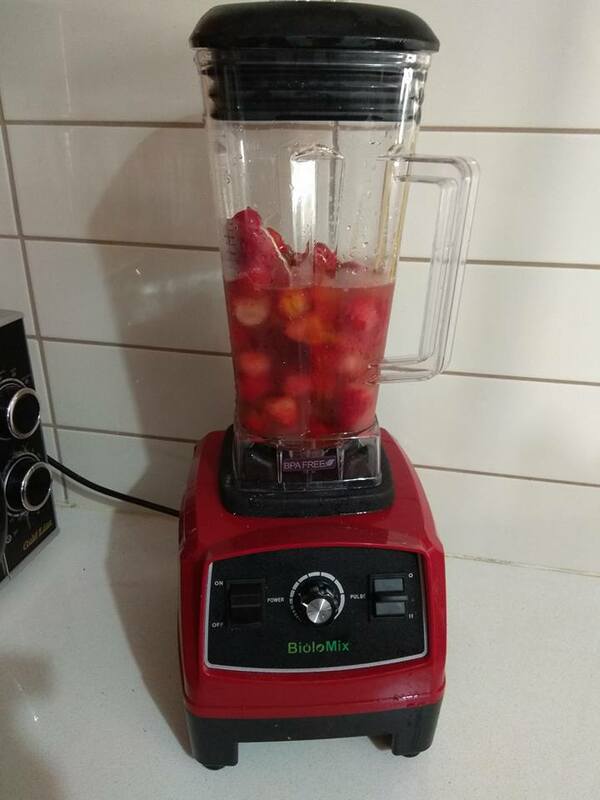 My new blender made it super easy to make, and it's delicious, easy, paleo, and because I got my strawberries on sale super cheap it was also a pretty frugal drink to make. I hosted a dinner party at my house yesterday and served this and it was a hit with everyone. Is this a traditional daquiri? Well, as I used lemon juice and not lime juice, and preferred to use vodka over rum (flavor preference, not to mention cost), it was close to traditional even if not 100% so. Still delicious, and that's what matters. To keep this recipe vegan, simply use whichever vegan sweetener you prefer instead of the honey. I used frozen strawberries in mine, because the blender makes that easy to use. If you only have fresh strawberries, add some ice to your water to make this chilled drink. 1. Put them all in a blender and blend, adding more alcohol and sweetener to taste, as desired. 2. If you're not using a powerful blender you may need to do this in batches. If you're using a powerful one, stick it all in and blend it up. Are you a fan of strawberry daiquiris? Ever make them yourself? What do you put in yours? Does this look like a recipe you'd try?